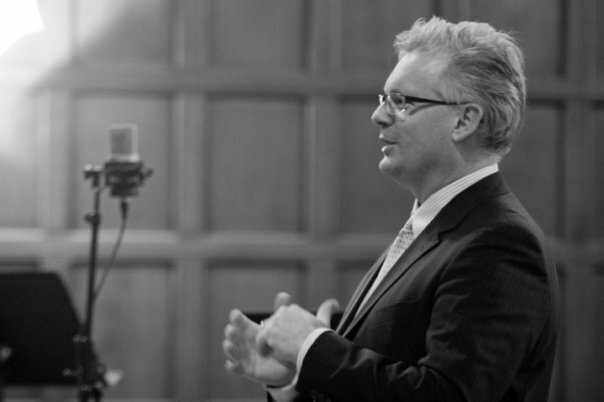 DAVID ARNOT-JOHNSTON, conductor, has directed many vocal and instrumental groups, including at Canada’s National Ballet School and Tafelmusik’s Baroque Summer Institute at the University of Toronto. 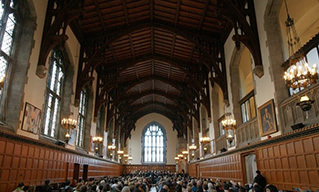 He completed the graduate program in early music at the Royal Conservatory of The Hague, The Netherlands, and holds a Masters degree in music history and performance from the University of Toronto. As a tenor soloist, David has performed with several early and contemporary ensembles, including Tafelmusik, the Studio de musique ancienne de Montréal, Opera Atelier, Dancemakers, Utrecht Barok Consort, La Capriola of Amsterdam, Utrecht Bach Society, Ottawa Choral Society, and The Toronto Consort. He has sung as a soloist under Sigiswald Kuijken, Andrew Parrott, William Christie, and with Emma Kirkby in works by Mozart, Handel, Bach, Lully, and Monteverdi. David has recorded as an ensemble soloist on the Naxos, CBC, Marquis, and RCA/BMG labels with Aradia Ensemble, Tafelmusik, Canadian Brass, and Toronto Consort. A dedicated instructor of music, David directed the music education program at the National Ballet School for ten years. 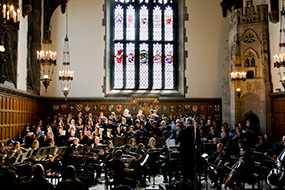 He has been conductor of the Hart House Singers since 2003. The singing verged on the divine. Tenor David Arnot performed frequently throughout the concert and was the standout of the evening. Tenor David Arnot’s spirited, stylish performance brought energy and focus to this celebratory work, which inspired the most engaging performance of the evening. Tenor David Arnot’s light sound and facile voice are perfectly suited to Handel. His performance was full of life and drama, while remaining clean and accurate. David Arnot’s wonderfully facile and rich voice was the highlight of the evening…his marvellous use of dynamics and exquisite art of decoration made gorgeous music of every phrase. Versatile tenor David Arnot was good in several roles and best in his last, as a bright Jupiter, king of the gods. Clean and precise, with a good line-up of soloists, especially David Arnot. Classic CD Magazine (England), Graham Dixon Canadian tenor David Arnot was a strong partner in the duets…the florid, virtuoso passages were beautifully shaped. The dancers were sometimes accompanied by the remarkable David Arnot.